Join us for a Shabbat Service & monthly Speaker Series at All Souls, Conover, on Friday, March 1, at 6:45 PM. Participate in a brief presentation and Q&A with our own Brent Never, Associate Professor of Public Affairs at the UMKC Henry W. Bloch School of Management. 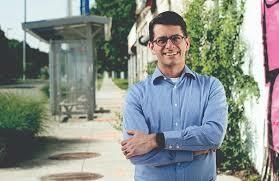 He’ll discuss economic development along the Troost Corridor.